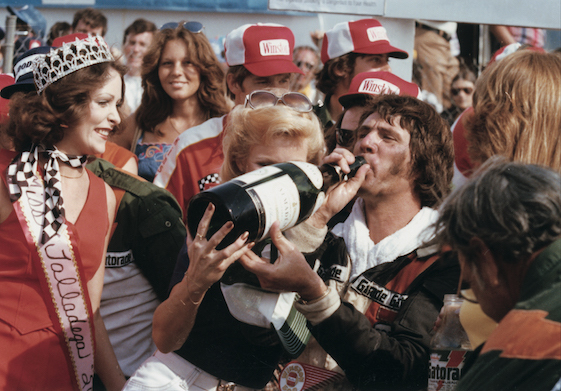 Darrell Waltrip tasted victory at Talladega. Tasted pretty good, too, he said this week. 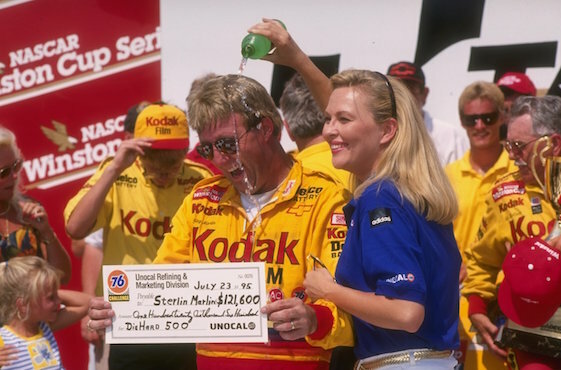 NASHVILLE – They were fast times and fun times, and last week Darrell Waltrip and Sterling Marlin shared some of their favorite Talladega memories at a media luncheon to promote the May 7 race. “Talladega Superspeedway is an animal unto itself,” Waltrip said. Waltrip, who retired from the Cup Series after the 2000 season and shifted gears to Fox Sports broadcasting, won four races at Talladega. At least that’s what the record book says. “My first trip to Talladega was in ’71 and I was driving an old Mercury with a set of used tires still on it from a previous race,” Waltrip said. “For some reason, the new tires Goodyear brought to the track that weekend weren’t as fast as the old tires already on my car. Before I knew it I was in the lead — a rookie, leading his first race at mighty Talladega. racing in his teens, had won three track championships at Nashville’s Fairgrounds Speedway when he and his father Coo Coo decided it was time to give Talladega a try. “We knew my mom would hit the ceiling,” said Marlin, grinning. “It was one thing for me to race on the short track at Nashville, but it was something else entirely for me to race on the biggest, fastest, most dangerous track in NASCAR. Marlin won two races at Talladega during a career that also included two Daytona 500 victories. After retiring from the Cup series in 2010, Marlin returned to Daytona in February to receive the 25th annual Living Legends of Auto Racing Award. Although he is retired from the big leagues, Marlin, 59, continues to race at Fairgrounds Speedway where he got his start decades ago. He won a race last year, and plans to run a full schedule this season in the track’s Pro Late Model Series. The Charlie Daniels Band will perform a concert on Saturday night prior to the Sunday race. A complete schedule of events, along with ticket info, is posted on the Talladega Superspeedway website.